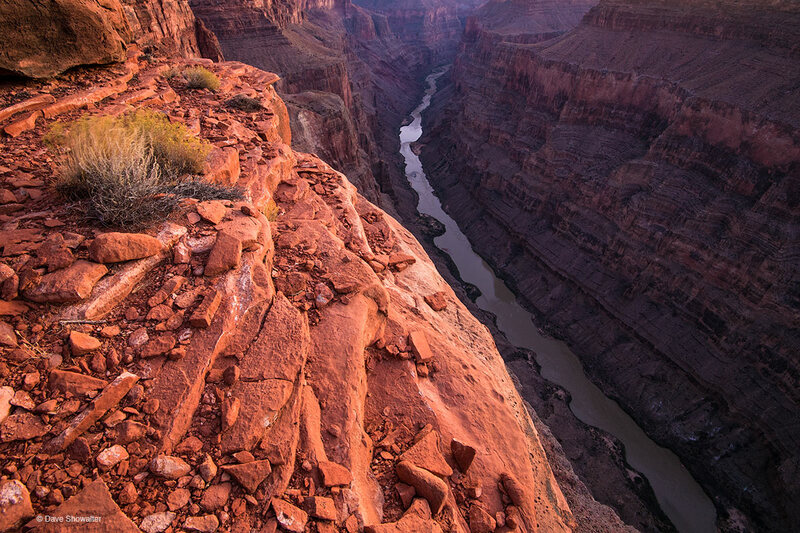 Three thousand feet directly below one's feet, the Colorado River flows in a thin line at Toroweap, a remote spot on the North Rim. The thin line is metaphor for sustainability of a watershed that supports every living thing in this part of the American West. Photo © copyright by Dave Showalter.